Some Los Angeles DUI crashes are more “picturesque” than others. 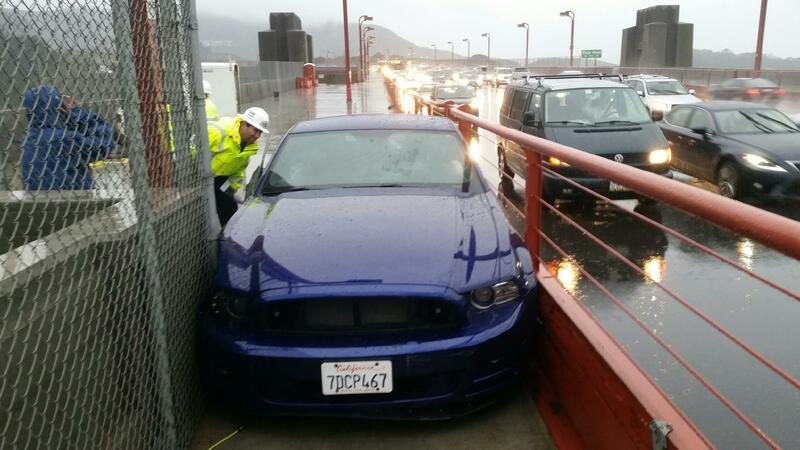 Most people enjoy visiting the Golden Gate Bridge, but few tourists actually drive Ford Mustangs onto the bridge and get stuck there, even if they’re driving under the influence of alcohol. Unfortunately, this is exactly the position 44-year-old Daniel Soto found himself in last Tuesday. 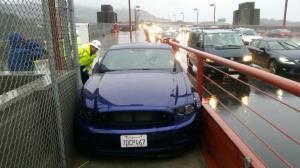 Allegedly, Soto had been traveling southbound through San Francisco trying to beat morning rush-hour traffic, when he lost control of his Ford Mustang, plowing over one of the Golden Gate Bridge’s steel barriers and through a steel gate before landing on a nearby sidewalk. Soto’s airbags were deployed, so his car became “wedged” on the narrow sidewalk according to California Highway Patrol Officer Andrew Barclay. Soto sustained only minor injuries. Barclay called the incident “uncommon,” and in its own way, the story may seem humorous. However, Soto’s poor decision last Tuesday could have easily resulted in severe injuries or death for him and the citizens around him. Every DUI incident must be taken seriously, and its consequences examined thoroughly to prevent similar incidents. Driving under the influence can lead to poor decision making on several levels. For example, high blood alcohol levels tend to affect one’s sensory perception. It often becomes difficult for an inebriated driver to see the road, the median, or surrounding traffic. Many people drink because they are depressed or angry. Once someone in this emotional state gets behind the wheel, his or her potential for injury to self or others skyrockets. The driver’s strong emotions cloud judgment and critical thinking skills, making him or her vulnerable to poor decisions. Finally, some drivers decide to drive under the influence because they think it will be adventurous or fun. Unfortunately, what starts out as a joyride with friends often turns into a DUI citation, a trip to the local jail, fines, and probation. Poor decisions made out of a desire to have fun while under the influence can also result in gratuitous property damage and embarrassment, as Daniel Soto discovered.